The NFL quarterback always brings this sunscreen, snack, and more. 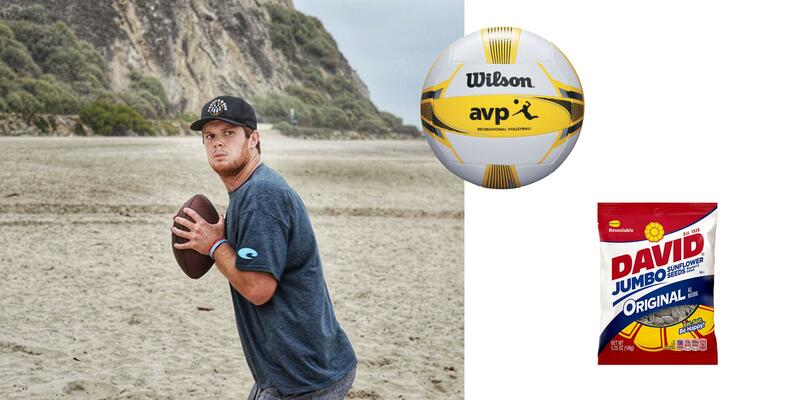 Sam Darnold may be a rookie but on the beach, he’s quite the seasoned vet. The New York Jets quarterback lived oceanside in his hometown of Capistrano Beach, California, before attending University of Southern California and ultimately being selected third overall in the 2018 NFL Draft.